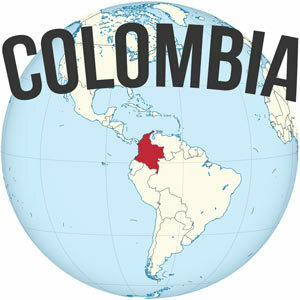 I spend a lot of time on the road (it’s a long drive to the end of South America) and you can only listen to the same tunes so many times before you get bored. 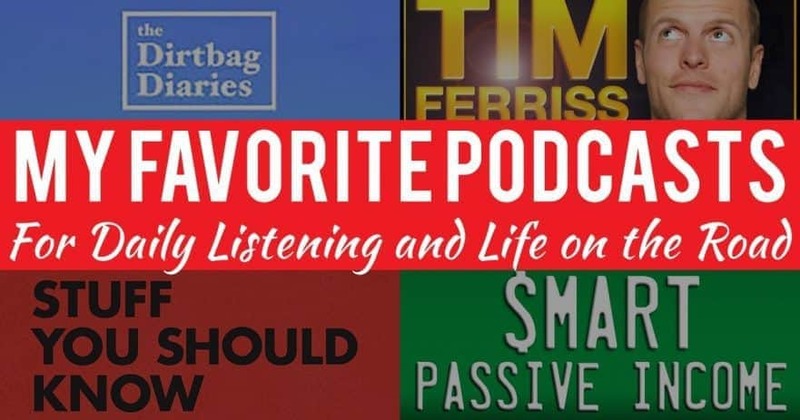 While I’m driving down the road, going for a long run, or heading on a big overseas flight, I regularly turn to my favorite podcasts for fresh interesting content to listen to. These podcasts make great company on long drives, so be sure to check out my road trip planning guide. I enjoy podcasts that educate, inform, or inspire. There’s a lot of good shows that fit that mold, but here are a few of my favorite shows that I listen to most often and have set subscribed to so I get the latest and greatest (so nice to have them on your phone automatically these days). If you’re looking for some awesome podcasts, I’d strongly recommend taking a look at these first! This is a relatively recent addition to my podcast repertoire, but it makes for interesting and somewhat random listening. Josh and Chuck tackle one big topic each episode about, well, pretty much anything. It’s a deep dive into how (proposed) head transplants work, how corsets work, or how the sun works, just to name a few. While some topics are more interesting than others, the hosts always bring a fun spin to it and crack jokes. It makes for light and interesting listening, and you always learn something new. If you’ve ever found yourself getting lost down a trail of links in Wikipedia and reading about random subjects, I think you’d find this podcast to be up your alley. Fitz Cahall hosts the Dirtbag Diaries, a long-running podcast that tells stories of everyday adventurers or professional athletes overcoming challenges, avoiding disaster, or just having a good time in the great outdoors. 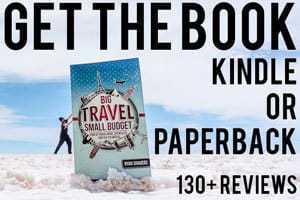 It centers on outdoor adventures from climbing to backpacking and more. The episodes are relatively short and can be sad, inspirational, or hilarious. If you love the outdoors, you should definitely be listening to the Dirtbag Diaries podcast. 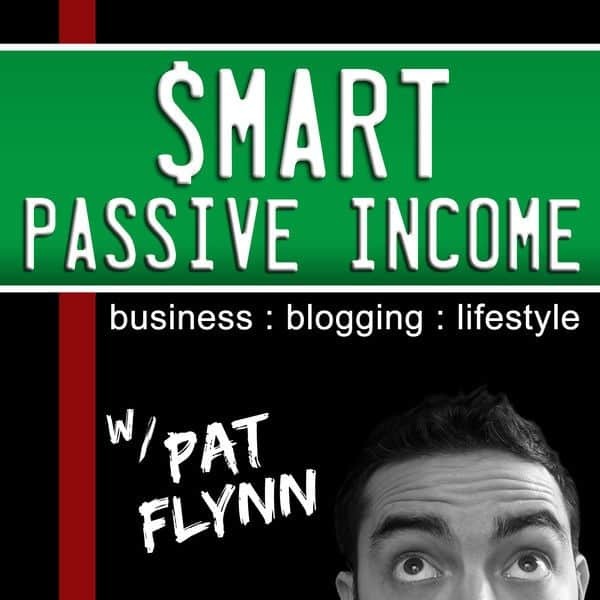 Pat Flynn hosts the excellent Smart Passive Income podcast which deals with all manner of online business. 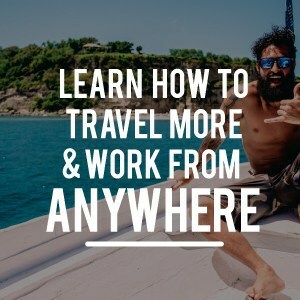 If you are involved in the world of blogging, freelancing, marketing, or other similar subjects, Smart Passive Income is the most interesting and in-depth podcast on the subject, and should be required listening. Or maybe you’ve got a burgeoning interest in starting an online business, but you have no idea what you would do or how to get started? Still a great fit, I think, because Pat often interviews people with very different businesses and you may just find a creative spark for something you could do or use as a model. Highly recommended, and definitely one of my favorite podcasts. 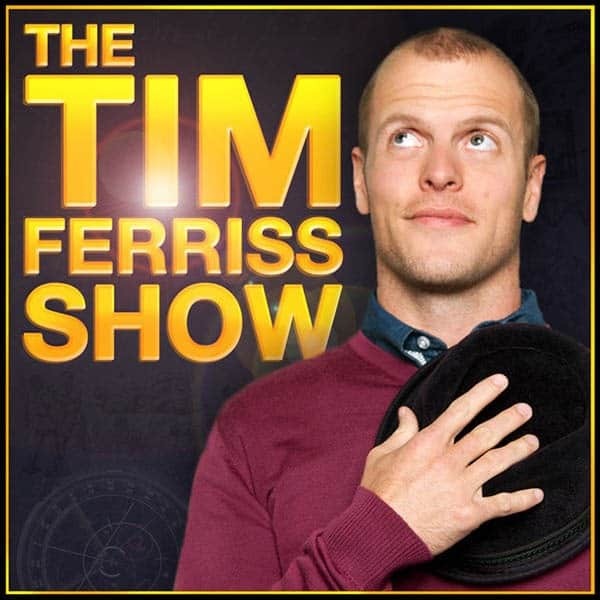 Tim Ferriss is most well known for his “4 Hour” series of books — aka the Four Hour Work Week, the Four Hour Chef, and the Four Hour Body — but most recently he’s been delving into the world of podcasting. I particularly loved the 4HWW, and think it should be essential reading for anyone considering kicking the normal career to the curb. But to be honest, when I first heard Tim’s podcast way back when, I found it to rambling, disjointed, and tough to listen to. I dismissed the show for the longest time before someone recommended it again (and assured me it had improved). Upon listening again I saw that he’d found his feet and now puts together a pretty interesting program. They are still often rambling and random, but they are always packed with something of interest. They cover all manner of topics from health and athletic performance, diet, business, or simply human psychology. These podcasts often feature insights from big name celebrities or athletes, not your everyday Joe, so the episodes can sometimes seem a little out of reach at times in terms of replicating their success. 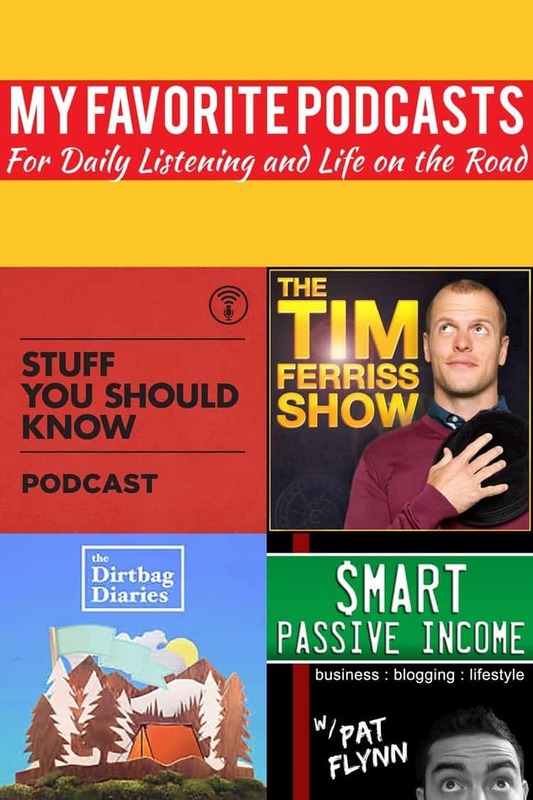 These four podcasts are part of my current regular rotation as we drive through South America, but there are plenty of others that I’ve enjoyed over the years, while I’m out for a run, traveling by plane or bus, or while I was cooking up lunch at my apartment in Medellin. The Art of Charm – Jordan Harbinger interviews a lot of guests about psychology, interpersonal relationships, self improvement. The Story Grid Podcast – I found this to be an excellent insight into writing and the art of storytelling, it was extremely informative and motivating as I worked through the first draft and edits of my book the Road Always Leads West. This American Life – Ira Glass’ program is a classic of journalism and storytelling that covers a wide range of subject matter. Of course, some are more interesting than others, but this is the classic example of this genre, and there are enough episodes to keep you listening for years. TED Radio Hour – I love TED talks, and NPR’s TED Radio Hour puts together some awesome episodes wrapped around a central theme, putting a handful of different TED talks into a neat little package. I keep all of my podcasts on my cellphone on a removable SD memory card, and have found Podcast Addict (on Android) to be the most fully featured podcast player (after trying a number of others). I just download a whole batch of episodes whenever I’ve got a good internet connection, and I’m usually good to go for a few weeks of travel. 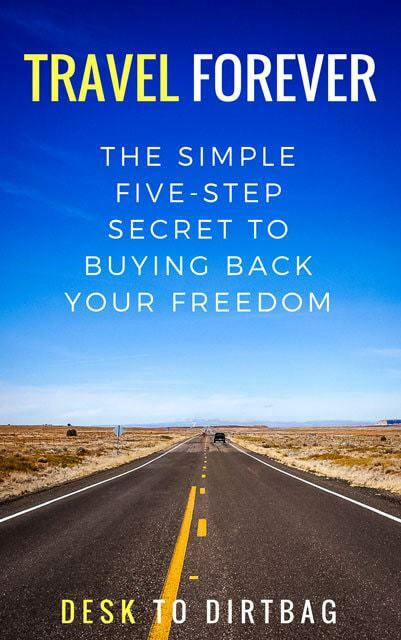 Be sure to check out a few of my other favorite road trip apps. What are your favorite podcasts to listen to? Any recurring, weekly shows that you would recommend myself and others to check out? Sound off in the comments below. 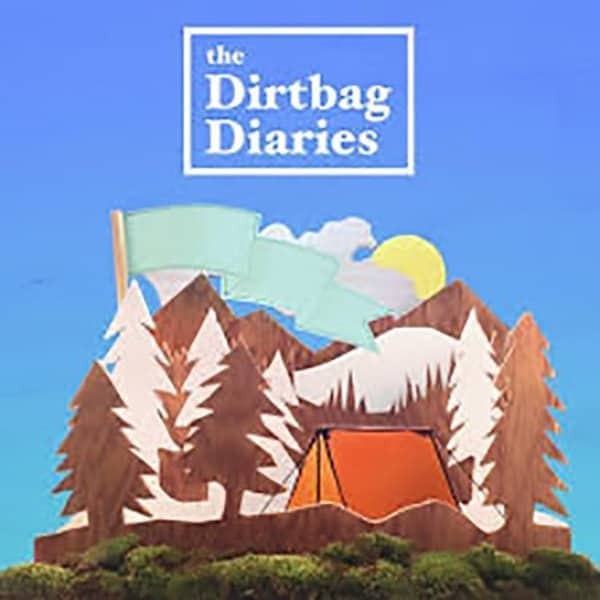 I love the Dirtbag Diaries, and also use Podcast Addict. I enjoy the Outside Magazine podcast, Out There, and She Explores.